Elscha is an amazing make-up artist! Let me just repeat that, Elscha is an amazing make-up artist!! I have worked with Elscha for the past two years and she has never failed to impress. The response we get 99% of the time is “WOW, I look amazing”. Anyone can be certified in the field they studied but not everyone is passionate and continuously trying to improve themselves in their trade. Elscha to me is one of those people, she doesn’t want to be just another professional make-up artist, she wants to be a master in her trade! She is continuously testing out new trends, educating herself in new products, not only make-up but skincare. She believes that a healthy skincare routine is the true foundation of beautiful make-up. 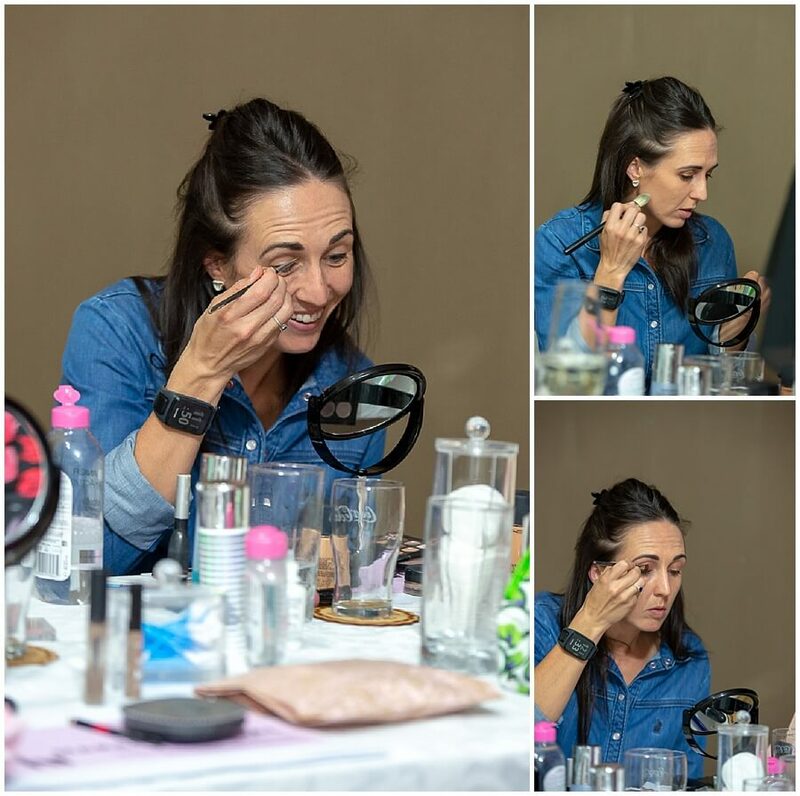 Apart from being the Lowveld’s most sought after make up artist for weddings, she is passionate about teaching people how to apply their own make up. She often hosts private make-up workshops for a group of girlfriends, or private one-on-one lessons. Elscha hosted her first Workshop in my studio over the weekend and I was absolutely blown away by the knowledge that she has! I know what Elscha’s concentrate face looks like when we are working on a client but we are usually chatting with our client about everyday things. Listening to the knowledge that was shared with the ladies that goes with that concentrating face had my jaw on the floor. I was mesmerised at how she approached each skin-type , skin-tone, face shape, jaw-line differently without batting an eyelid. She looks at make-up artistry as a science, which it is! Its not JUST a pretty lipcolor, but what is its undertone and does it go with YOUR skins undertone? I honestly think this workshop was a huge success and I am definitely going to encourage Elscha to host more of these workshops for our Nelspruit ladies. She is a true master in her trade and as a added bonus, teaching comes very naturally to her. Make sure to contact us if you would be interest to have Elscha host a “make-up party” for you and a few friends. Here are a few pics of the ladies during the workshop, I hope to see you at our next worksop.